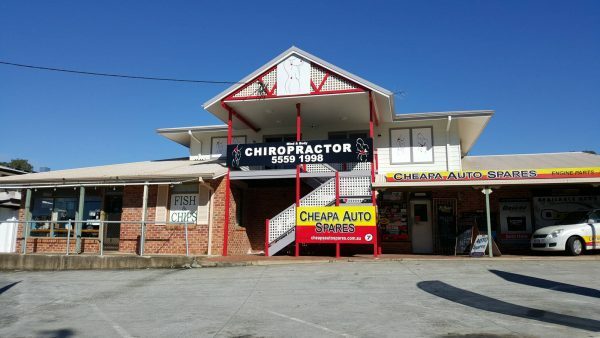 Home > Learn More > Chiropractic Info > Mudgeeraba Chiropractor says Enough! At Mind & Body Chiropractic, your Mudgeeraba Chiropractic Clinic, we have been offering evidence-based treatments to our clients for more than 20 years. We are perfectly clear about the conditions we treat. Just look at the home page of our web site or the frontage of our Surfers Paradise clinic. We specialise in alleviating pain (back, neck, headaches, stress), restoring mobility and improving wellbeing. We have been rewarded with successful outcomes over and over again – which is why we are still here. Yes, there are a few maverick chiropractors out there, who should know better, making outlandish claims to cure all kinds of diseases and ailments but they are very much in the minority. The majority of qualified chiropractors – and it takes rigorous training and discipline to become qualified in Australia – are highly skilled in identifying what they can and what they cannot treat. An important part of being a Mudgeeraba chiropractor is that we work closely with a variety of health care professionals. We have always referred our patients to the appropriate experts and we always will. We have a complementary network of like-minded colleagues who firmly believe in evidence-based solutions. This is an inter-disciplinary approach that is the future of health care in this country and around the world. It’s a pity that a few misguided “authorities” want to drag us back into the dark ages when the only choice you had was the overworked, time-poor GP. Just to set the record straight, here is our position on this latest controversy to blight our profession: We support immunisation and vaccination unequivocally as a public health strategy. We do not attempt to claim cures to or treatment of conditions outside our scope of practice including: Colic, Reflux, ADD, ADHD, Autism or any other non-musculoskeletal condition. We support our local allied health colleagues and refer regularly to them for the benefit of our patients. We acknowledge the key role that General Practitioners play as the central figure in most patient’s healthcare framework. All chiropractors have a valuable contribution to make in the healthcare arena within an evidence-based model. Here, at Mind & Body Chiropractic, we pride ourselves on treating the whole person, addressing the causes of conditions and not just the symptoms. We see the evidence of the treatment’s effectiveness on a daily basis. We are constantly being surprised and delighted by the amazing outcomes, as are our patients. Arrange for a FREE consultation with our Mudgeeraba chiropractic clinic today, by calling us on 5559 1998.